Back in January we did a community-wide survey on our 5-year anniversary to ask you how we could improve your experience in our customer community. Three of the big “themes” that came out of your responses were issues with our infrastructure … particularly with our plugin licensing system, our membership system (where you get your products and support) and our documentation. When we saw all the surveys related to this three areas, we nodded, humbly, in agreement. We knew we could do better for you. And I wanted to give you an update on what we’ve done with your input to create a better customer experience for you. The original licensing system (which provides automatic updates for your products) was created a very long time ago and before we had so many different products and needs. It did the job for a while, but we knew it needed an overhaul as it became a big frustration for a number of our customers. In April, we started rolling the new plugin licensing system out into our plugins. And to date, every plugin except BackupBuddy has the new licensing system. But BackupBuddy will be getting it SOON. With the number of customers on BackupBuddy, we just wanted to be sure the rollout was as smooth as possible before rolling it into our biggest product which affects the most customers. You can learn more about the iThemes Licensing system here. The next iteration to improve our customer experience is the latest one and very exciting for all of us — the all-new iThemes Member Panel. We heard you — from the survey and what you tell us through our contact points with you — that know our membership experience needed to be drastically overhauled and improved. The first major piece of that — the all-new iThemes Member Panel — is now in beta and available to all customers. New design that is better organized and matches the iThemes site for a more seamless experience. Shortcut links to important resources like Documentation, Support and more. Version numbers next to products so you can see the latest versions of products that might need updating. The Stash tab, so you can see in one spot what sites and files you have backed up to our BackupBuddy off-site storage option. And we’re not done yet. We have more in the works already that will help streamline and reduce friction and frustration for you! Have feedback about the new BETA version of the Member Panel? Let us know. Another sore spot for you was our somewhat disorganized documentation for products. 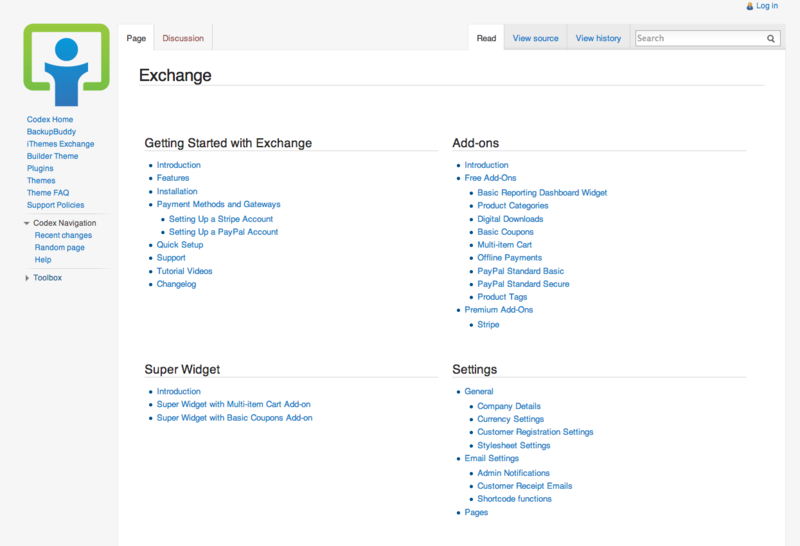 With the rollout of iThemes Exchange documentation, we were able to start making some incremental tweaks to our vast documentation library, starting with a cleaner design and much better organization. It’s a work in progress … but we should be done with the reorganization and cleanup of Builder documentation next week … and next up is BackupBuddy. All of this is in an effort to continue to Make People’s Lives Awesome. 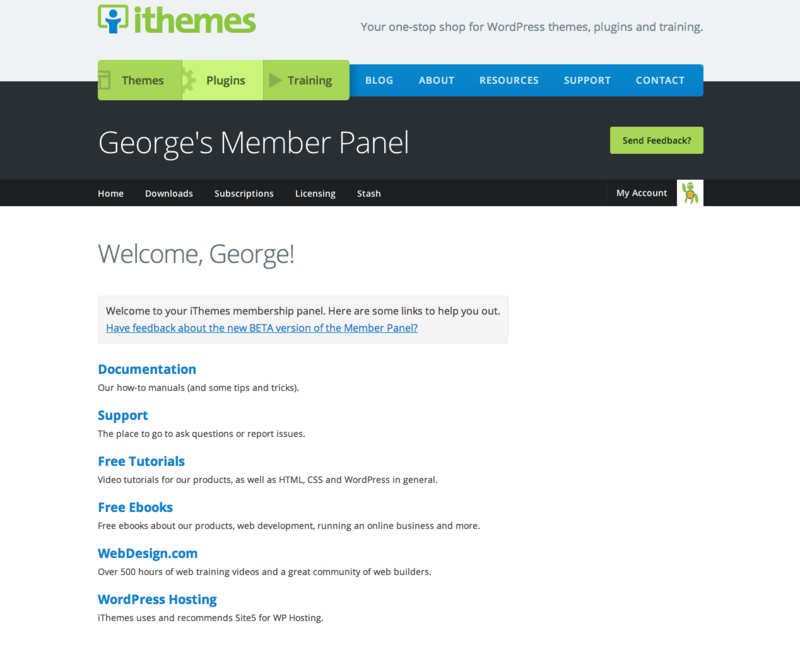 We made these changes because of feedback we received from our 2013 iThemes Customer Survey. Still have feedback or ideas? Let us know.